I was trying to explain CDO's to someone last week, and I wish I had this graph. If you don't understand it, scope the source. ...for posting that. I shared it with my colleagues. i kinda want to animate it fully. 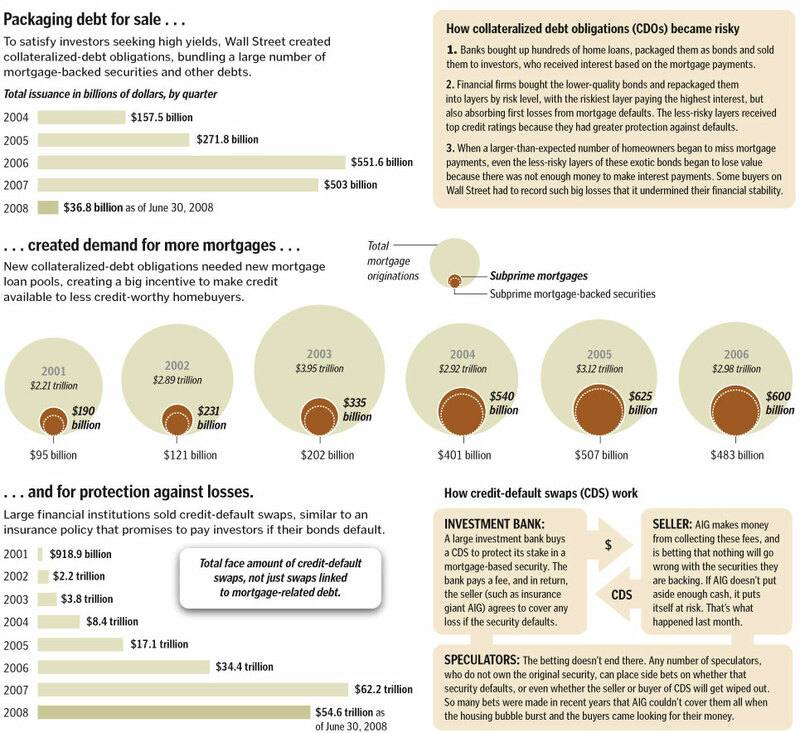 did wall st create the demand for cdos/yield or did the demand encourage wall st to originate mortgages like crazy? in my opinion, it's more of the latter. furthermore, all the prime mortgages were bought up by fannie & freddie, so wall st was pushed out into the subprime, alt-a, jumbo, and second mortgage markets.